The Great Australiasian Beer SpecTAPular or GABS is hitting our shores in June and we couldn’t be more excited. We’ve got tickets to give away to lucky Toast readers this week! Toast has a chat with Great Australasian Beer SpecTAPular co-founder Steve Jeffares about bringing his crafty festival across the Ditch for a one-day Auckland extravaganza of beer, food, performance and fun. How and when did GABS first get started? Guy Greenstone, my business partner, and I started The Local Taphouse specialist beer bars in Melbourne and Sydney more than eight years ago and run dozens of beer-related events each year. In the summer of 2011, we thought it would be a lot of fun to have a bunch of breweries all release one of their small batch beers at the same time and place so we ran the very first GABS (then known as the Great Australian Beer SpecTAPular) at both venues. Twenty-three of the best craft breweries in Australia brewed a new beer specially for the event. The response was phenomenal and the catalyst to supersize the event and make it three-day affair in Australia. This is GABS' first time in NZ – what was behind the decision to bring it here? Both The Local Taphouse and GABS have always been strong supporters of the NZ craft beer scene and the cream of New Zealand craft breweries have participated at GABS since 2012. It was always an idea that Auckland might one day host a GABS. How will the Auckland festival differ from Sydney/Melbourne? GABS Auckland is only different from GABS in Australia insofar as we have designed the Auckland version with a prominent focus on New Zealand craft beer and cider. Other than that, we're trying to replicate the whole GABS experience in Auckland. While we expect to showcase more than 250 craft beers, more than 60 of them are made exclusively for GABS. The Liquorland Marketplace will feature dozens of brewery and cider exhibitors. There are two education areas – the Craft College is a series of free and educational panel discussions with brewers and cider producers, and the GABS “Food & Drink Experience” (see below). Tell us about some of the stallholders. The aim of GABS Auckland is to showcase the best Kiwi craft beers and ciders so we were thrilled to have so many of the best and innovative craft breweries support our inaugural event. These include Garage Project, Yeastie Boys, Bach, Tuatara, Panhead, ParrotDog, Epic, Funk Estate, Moa and Renaissance. Food-wise – what’s on the menu? The food offering at GABS is a bigger focus than ever. We are still finalising the food vendors for Auckland but we always try and find quality local vendors that share the same ethos as the craft brewery and cider producers we champion. The GABS “Food & Drink Experience” is a series of free, fun-filled seminars showcasing how beer, cider and food can make the best of marriages. What sets GABS apart from other beer festivals? The festival beers and ciders made just for the event are what most people would say makes GABS unique. I also think our focus on both education and fun is a factor too. GABS will be held on Saturday 18th June at Auckland’s ASB Showgrounds. 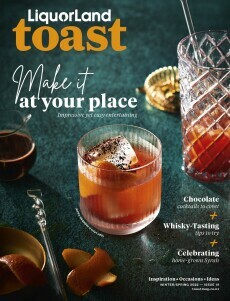 We have two tickets to give away to lucky Toast readers – click here to enter. Terms and conditions apply.